Mitt Romney is a Mormon. He is also rich. According to data released by his campaign in August, Romney's net worth is between $190 and $250 million. He earned much of this money at Bain Capital, the private equity firm he started with two partners in 1984. Under Romney's leadership, Bain took advantage of the leveraged buyout craze of the 1980s and '90s to become a wildly profitable corporation. Romney's business success is not unusual among Mormons. When he left Bain to run the Salt Lake City Olympics of 2002, Romney worked with such accomplished Mormon businessmen as Fraser Bullock (now of Sorenson Capital) and Kem Gardner (a prominent Utah developer). Wealthy Mormons have also played key roles in Romney's presidential campaign. One is Jon Huntsman Sr., founder of the Huntsman Corporation, a $13 billion Salt Lake City enterprise specializing in petrochemicals and plastics, and father of Utah's current governor, Jon Huntsman Jr. Although he does not use it in public, Mitt Romney's first name is Willard; he was named after J. Willard Marriott, founder of the hotel chain, to this day another successful business enterprise run by Mormons—and one that is also active in the Romney camp. Pick up a book on how to succeed in business, and there's a decent chance that it will have been written by a Mormon. The best known are the many volumes of Stephen Covey, whose books-beginning with The Seven Habits of Highly Effective People in 1989-are “a secular version of Mormonism,” according to historian Jan Shipps, our leading interpreter of the LDS faith. This tradition has recently been carried forward in Jeff Benedict's The Mormon Way of Doing Business, only here, seven habits are turned into eight people, including the CEO of JetBlue Airlines (David Neeleman) and the former CEOs of Dell Computers (Kevin Rollins), Madison Square Garden (Dave Checketts), Life Re Corporation (Rod Hawes), and Deloitte and Touche (Jim Quigley), as well as the former CFO of American Express(Gary Crittenden)—all members of the LDS Church. The general theme of Benedict's book is that you don't have to go to Harvard Business School to know how to run a successful company. If you are a devoted family member, volunteer, and good churchgoer, as so many Mormons are, that should be enough. Obviously, not all Mormons are successful in business—or, for that matter, life. In their forthcoming book American Grace, two political scientists, Harvard's Robert Putnam and Notre Dame's David Campbell, find that Mormons are slightly wealthier than the average American, but not by much: The average income of both Mormon households and non-Mormon house holds hovers around $50,000 a year. Thirteen percent of Mormon households in their sample earn more than $100,000 a year, higher than 4 percent of Catholic ones but, then again, lower than 27 percent of Jewish ones. Yet, while Mormons are neither far richer nor far poorer than other Americans, a significant number have shown remarkable entrepreneurial ability. It is worth asking why, and particularly now: The answer sheds light not only on Mitt Romney's exceptional business success but also on his presidential prospects. ALL INQUIRIES dealing with the relationship between economics and religion take place in the shadow of Max Weber's The Protestant Ethic and the Spirit of Capitalism, first published in 1904. Weber's insight was to link theological ideas with real-world human behavior: Once salvation was not dispensed through priestly authority, the accumulation of wealth was taken as a sign that you belonged among those elected by God for heavenly reward—in theory, making Protestants better suited to capitalism than Catholics. Ever since Weber, sociologists of religion have been inclined to examine the ideas of religious thinkers to understand the world in which we live. It is not clear whether such an examination of LDS theology would yield any particular insights into Mormon business success. This is not because Mormon beliefs are less credible than those of other religions: Secular people may laugh at the idea of Joseph Smith coming across a holy book in western New York or discovering that Adam and Eve had lived in western Missouri, but these revelations are neither more nor less believable than Jesus walking on water or Moses parting the sea. It is, however, true that, in comparison to Christianity and Judaism, Mormonism is a very young religion and, consequently, has not had nearly as much time as its counterparts to develop theological justifications for its miracles. If we are to compare Mormonism to other religions theologically, the relevant markers ought to be Christianity in the year 150 or Judaism in the era of Isaac. Christianity before the Nicene Creed and Augustine left adherents with many unanswered questions—and so does Mormonism today. 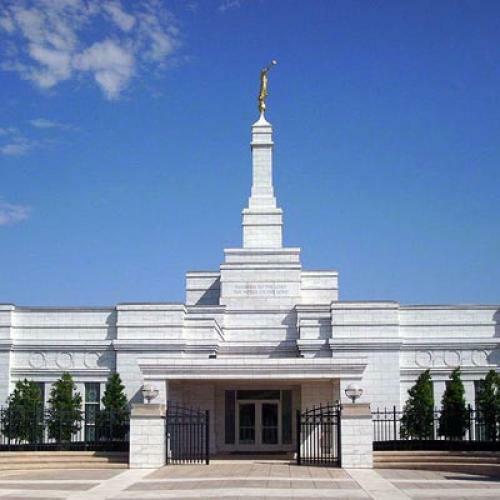 There is no direct line from the Angel Moroni to the Marriott hotel chain. But theology is not the only way to understand the links between religion and economics. At the same time as he was publishing The Protestant Ethic, Weber came to the United States to visit the 1904 St. Louis World's Fair. “On a long railroad journey through what was then Indian territory," he wrote about his visit, “the author, sitting next to a traveling salesman of 'undertaker's hardware' (iron letters for tombstones), casually mentioned the still impressively churchmindedness” of the United States. His interlocutor offered him an explanation: “Sir, for my part everybody may believe or not believe as he pleases; but if I saw a farmer or a businessman not belonging to any church at all, I wouldn't trust him with fifty cents.” From that conversation stemmed one of Weber's most insightful concepts. Especially in a newly formed society, Weber concluded, religion serves as a kind of moral credit agency. Businessmen need a way to determine whose credit will be worthy and whose will not. Admission to a congregation is a method of establishing that creditworthiness. And religions with mechanisms for deciding who will belong to them will flourish in a commercial society in a way that religions emphasizing hand-me-down criteria of membership will not. Weber does not tell his readers through which Indian territory he was passing, but chances are that, half a century before his journey, Mormons had also passed that way on their trek to Utah. In those early days, membership in the LDS Church, by definition, was not inherited from one's parents. Although that is no longer true—Romney belongs to the sixth generation of his family to affiliate with the church, and all of the executives featured in Benedict's book are from long-term Mormon families—Mormonism remains a missionary faith, constantly bringing in new members. (Senator Harry Reid, the highest ranking Mormon in U.S. politics, is a convert.) The frontier may be gone, but capitalism is still a place of risk and reward. If you are a businessman, say a venture capitalist, you want to know something about the people you are dealing with; and, if the people with whom you cooperate are Mormons, you do. “It is not the ethical doctrine of a religion, but that form of ethical conduct upon which premiums are placed that matters,” Weber wrote after his visit to the United States, as if repudiating the emphasis on theology characteristic of The Protestant Ethic. It is too bad he did not reflect on Mormons, for no other religion better fits his thesis that practice counts for more than doctrine. The data collected by Putnam and Campbell offer fascinating insight into this aspect of Mormonism. Much is made of the religious engagement of American evangelicals, who attend church in far greater numbers than mainline Protestants or Jews. But Mormons top evangelicals in all categories of religious activity: Seventy-seven percent attend church weekly compared to 55 percent of evangelicals; 74 percent pray daily compared to 62 percent; and 46 percent read scripture daily compared to 35 percent. When it comes to activities like serving as an officer in a congregation or giving money to one's church, Mormonism's rates far exceed those of every other religion. Even more interesting is the fact that Mormons volunteer in non-religious activities more than any other faith in the United States; the only groups that come close are mainline Protestants and Jews. In other words, the general practices of Mormon life—a high bar for church membership, an expectation that Mormons will take an active role in practicing their faith, an ethic of civic involvement—demonstrate moral creditworthiness in a way that no other American religion can match. A related explanation for Mormons' business success may lie in the religion's organizational structure. Unlike most faiths, the LDS Church does not have a paid clergy. Instead, Mormons rely for leadership on lay people who are “called” to assume the role of bishop in local wards, the LDS term for congregations. The idea of a calling, a Weberian term, does not mean quite the same thing to Mormons that it did to the Lutherans from whom Weber borrowed it. Mormon bishops are not so much called because of an inner light that convinces them to pursue God's path but because the church is always on the lookout for potential leaders. And, of course, these people might learn a thing or two about how to organize others in the business world if they first have success organizing them in spiritual life. Asked about the possible reasons for Mormon entrepreneurship, Philip Barlow, a theologian at Utah State, emphasized “a lay-oriented ecclesiastical organization that rejects a professional ministry and thus promotes hands-on organizational and leadership experience among an entire populace, which yields a disproportionate number of high-level executives.” Of course, organizing a ward or a stake—usually between five and ten wards—does not guarantee that you will become a CEO, but it doesn't hurt your chances either. Mormonism's this-worldly characteristics throw a monkey wrench of confusion into the way Americans think about religion and politics. Why, in contrast to Europeans, do we spend so much time asking candidates about their faith in the first place? The answer, presumably, is that we want our politicians to tell us that they are guided by convictions rooted in a powerful moral sensibility taught by a God whose existence transcends this world. But, if politicians invoke religion to claim connection to the transcendental, what is a candidate to do if his religion is not very far apart from this world? Mormonism's this-worldly character gives it a great advantage in the world of business but places it at a great disadvantage in the world of politics—so long, that is, as politicians have to pass a religious litmus test. If the United States were ever to return to a period in which competence counted more than confession, membership in the LDS Church would become an asset. That, however, is not the case in 2008. It almost makes one feel sorry for Mitt Romney, an odd thing to say about a man worth as much as $250 million. AMERICANS ELECT millionaires to high office, but they want their millionaires to be just folks. George W. Bush understood this in his two presidential campaigns. He was, to be sure, the scion of a prominent American family, but so was his opponent in 2000. And, when his 2004 opponent combined liberal politics with a taste for windsurfing, Bush's reelection was all but assured. Political success in the United States goes to those who have enough money so that voters will admire and respect them while conveying the impression that money doesn't matter much to them at all. True of Americans in general, this ambivalence toward money is especially true of American evangelicals. Evangelicals are no longer the kind of downtrodden believers who responded so positively to the vigorous populism of William Jennings Bryan. Yet evangelicalism nonetheless retains a populist sensibility. You don't need to allow yourself to be informed by a priest, as Catholics do—or, I should say, did. Unlike potential converts to Judaism, you don't have to learn much about the language, culture, and theology of the religion you hope to join. All you need to do is look at the life you are leading, find it unfulfilling, and turn to Christ as your personal savior, a process that is available to anyone, however much money they make. Evangelicalism's appeal, as much in our day as during the time of Bryan, is based on this conviction that so long as you are God-fearing, it matters not a whit how outwardly successful you are. This is not, let me hasten to add, true of various forms of prosperity gospel, which judge your spiritual success by your worldly success. But, then again, even the prosperity gospel appeals to the downtrodden more than to those occupying the executive suites. None of this much helps Mitt Romney. It is true that there are theological reasons why evangelicals distrust Mormons—for one thing, Mormons do not believe in original sin—but evangelicals do not need theology to conclude that there is something suspicious about Romney. He has an intact and perfect family; many Southern Baptists, for all their talk of family values, do not. He ran a company; most Southern Baptists work for one. He does not drink—by now, the picture should be clear. Mormons are what Southern Baptists want to be but never quite become; I will resist the temptation to call them “perfected evangelicals.” The fact that Romney's life is so completely without sin ought to make him attractive to them, but it does the reverse. If you lead an unblemished life, you have no need to come to Christ for your salvation. Romney's business success—his worldly achievement—is self-evident. For the evangelicals whose votes he needs in order to win the presidency, that is cause for concern. As if this did not create enough problems for Romney, he faces an additional obstacle in persuading evangelicals that he is with them in spirit. In an interview with The New Yorker's Ryan Lizza, Jan Shipps pointed out that Mormonism is an ethnicity as much as a religion. “Romney is not Mormon in the way, say, Ted Kennedy is Catholic,” she said. “Romney is Mormon the way Ted Kennedy is Irish.” Shipps was calling attention to the fact that Mormonism, once a cult, has now become a culture. But her comment also reinforces the widespread idea that Mormons tend to prefer their own. And this turns out to be true. Mormons, Putnam and Campbell found in their survey, are more likely to make friends with coreligionists than any other group in the United States, including African American Protestants. All religions tend to prefer their own. But evangelicals are less likely to do so than Mormons or even, for that matter, Catholics. There once was an ethnic or clannish dimension to American evangelicalism when so many of its supporters, especially in the South, came from similar Scotch-Irish roots. But the key to Mitt Romney understanding American evangelicalism is that you are not born into an evangelical world; you are born “again” into one. The ranks of evangelicals contain large numbers of former Catholics and former Jews. If anything, the further away you are from conservative Protestantism when you convert, the more valuable to the evangelical cause you become. Mormonism, as just about everyone who has ever opened their front door to a stranger knows, is fiercely missionary in its approach; indeed, evangelicals and Mormons compete for converts. But, once people join the LDS Church, they enter a world that is closed to outsiders. Both the local evangelical mega-church and the local Mormon temple may be imposing, but one opens its doors to all who seek to enter and the other does not. It may not be particularly fair, but, in the eyes of evangelicals, Mormonism's distinct culture transforms the business success of its prominent members—relying as it does partly on the creditworthiness that membership in a fenced-off club confers—into something questionable rather than something admirable. American evangelicals were once fiercely anti-Catholic and inexorably anti-Semitic. Fortunately for the cause of religious tolerance, if not so fortunately for the fate of American liberalism, they now make common cause with Catholics over abortion and consider themselves the best friends of the state of Israel. Today, Mormons have replaced Catholics and Jews in the more diabolical regions of the evangelical mind. And the sense among evangelicals that Romney's wealth has something to do with his relatively closed culture only stands to raise their suspicions. Will evangelicals vote for Romney anyway? When David Dinkins ran against Rudy Giuliani in the 1989 New York mayoral race, polls showed that more people said they would vote for Dinkins than actually did, leading pollsters to believe that respondents were unwilling to acknowledge possibly prejudiced views. The same thing might happen with respect to evangelicals in the Republican Party; and, if it does, we will never know whether it was because they distrusted Romney's religion, his business success, his culture—or a combination of the three. Chances are that someone who is different may well become our next president. But of the candidates who are most conspicuously different, the Mormon just may have a harder time getting elected than the woman or the African American. MITT ROMNEY WAS my governor for four years. Since 1960, the Democratic Party has shown an unseemly tendency to nominate a disproportionate number of presidential candidates from Massachusetts, and, of the three so chosen, only John Kennedy managed to win. The losses sustained by Michael Dukakis and John Kerry left most Americans with one clear impression: Massachusetts simply is not like the rest of the United States. Observing Mitt Romney's problems in the 2008 presidential election, I have to conclude that this cliché is correct. For many of us in Massachusetts, the fact that Romney had been a successful entrepreneur was taken as a reason to vote for him. He was not, moreover, all that bad a governor, in part because he knew what he wanted—whether medical insurance for all or a new road to speed Cape Cod dwellers to their homes—and possessed the administrative talents to make it happen. When he ran for the Senate in 1994, his opponent, Ted Kennedy of all people, raised the red flag of Romney's religion. But, since then, his Mormonism has been a non-factor. We all knew that he went to that huge temple out in Belmont, just as we knew that the rest of us were not welcome there; but it did not matter. It just seemed to make sense to us, practical people that we are, to vote for a guy with an impressive resumé. Americans in the rest of the country evidently think differently. For Massachusetts residents, Romney's business acumen was a plus and his religion inconsequential. Elsewhere, his religion seems to be a minus and his business experience irrelevant—or worse. It used to be the case that, if Massachusetts were more like the rest of the country, we would have elected more liberal Democrats to the presidency. But, because it is not, we are likely to be deprived of a competent conservative Republican. This does not disturb me deeply; I can think of no circumstances under which I would vote for Romney over any of the Democrats. But 2008 may well be remembered as the election in which the Republicans, the party of big business, shunned the biggest businessman in their party. For them, it is perfectly OK to succeed in business, but not, it would seem, if you are a member of the Church of Jesus Christ of Latter-Day Saints. Alan Wolfe is a contributing editor at The New Republic. This article appeared in the December 31, 2007, issue of the magazine. Photo credit: Wikimedia commons.